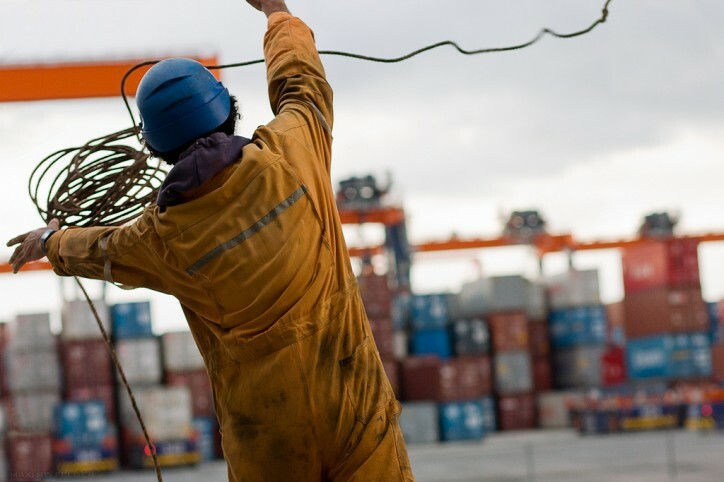 The country remains to be the world’s top source of seafarers, with around 229,000 Filipinos on board merchant shipping vessels around the world at any given time. In a study made by the Commission on Filipinos Overseas (CFO), 358,898 Filipino seafarers were deployed last year, infusing about $5.575 billion to the country’s economy through their remittances. Filipinos are the most preferred seafarers in the world because they are better trained and proficient in English, according to the DOLE. At the forefront in developing and enhancing the world class competitiveness of Filipino seamen is the Maritime Industry Authority (MARINA), an attached agency of the Department of Transportation and Communications. As the sole maritime administrative body of the country, MARINA is responsible for the implementation and enforcement of the 1978 International Convention on Standards of Training, Certification (STCW) and Watchkeeping for Seafarers and related international agreements to ensure that Filipino seafarers are up to world standard. Administrator Maximo Mejia Jr. said that Republic Act 10635 which established MARINA as the sole body in charge of maritime administration, enabled it to establish firm control over all processes and eliminated layers of bureaucracy. “This development in the Philippine maritime industry is a step towards a stronger maritime nation that moves the world. MARINA is empowered to ensure that the certificates issued to Filipino seafarers are accepted by the maritime administrations and industry stakeholders around the world at its face value, a certificate backed by a credible, responsible, and high quality monitoring system,” Mejia said. Under Executive Order (EO) No.1011, MARINA assumed the quasi-judicial functions of the Board of Transportation (BOT) over the domestic shipping transport. The agency is also mandated to implement reforms and programs that will accelerate the integrated development of the local domestic shipping industry to global standards. In 2015, Mejia issued 41 key policy issuances for effective supervision of the maritime industry in line with EO No. 43 and the current administration’s five-year Philippine Development Plan. Among the policy issuances is the implementation of the MARINA anti-red tape monitoring system (ARTA) to institutionalize open, transparent, accountable and inclusive governance. Mejia explained that its objective is to ensure and maintain full compliance with ARTA towards improvement in the delivery of MARINA frontline services. In terms of revenue collection, meanwhile, MARINA reported that it has surpassed its 2015 target of P872,826, registering revenues amounting to P983,728 or 12.7 percent higher than its target. For his leadership in advancing the implementation of the STCW Convention, Mejia was included in the Lloyd’s List of the world’s 100 Most Influential Persons in the Shipping Industry (2013). Prior to his appointment to MARINA, Mejia was professor at the World Maritime University (WMU), in Malmö, Sweden, and the head of its Maritime Law and Policy program. While at WMU, he also held visiting professorships at the United States Coast Guard Academy and Lund University Faculty of Law. Before joining WMU, Mejia served as a commissioned officer in the Philippine Navy and the Coast Guard. He saw duty on board naval and coast guard vessels as well as shore-based facilities in the Philippines.